Do the Words “I Shot J.R.” Mean Anything to You? When I was a kid, it was a thrill anytime my parents let me stay up on Friday nights to watch Dallas. This was back in the days before VCRs, DVDs, and being able to DV-R anything. If you wanted to watch Dallas, you had to be parked in front of your TV when it started. And that’s exactly what millions of Americans did. 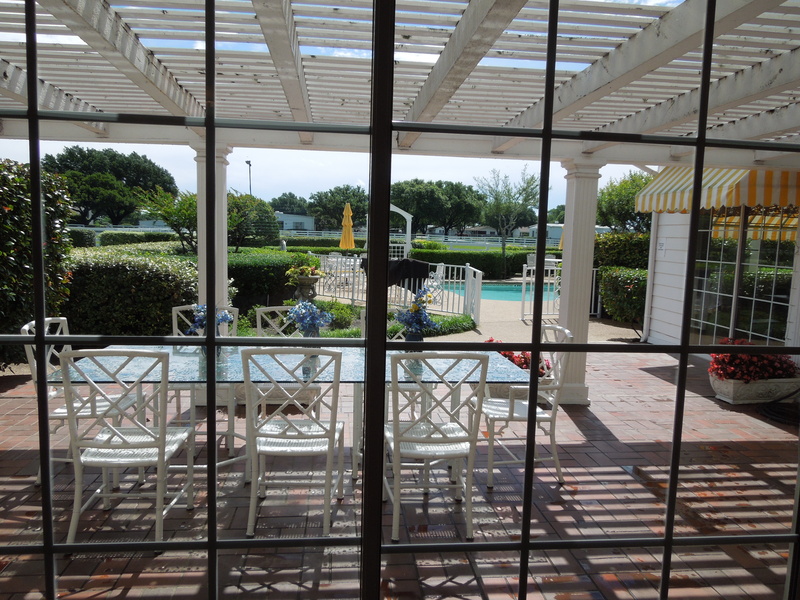 The theme began to play and we saw the sweeping aerial view of Southfork Ranch. It was awesome. So, that’s what Texas oil money life is like, I thought to myself. It seemed so grand. So unattainable for a young girl like me in the suburbs of Ohio. 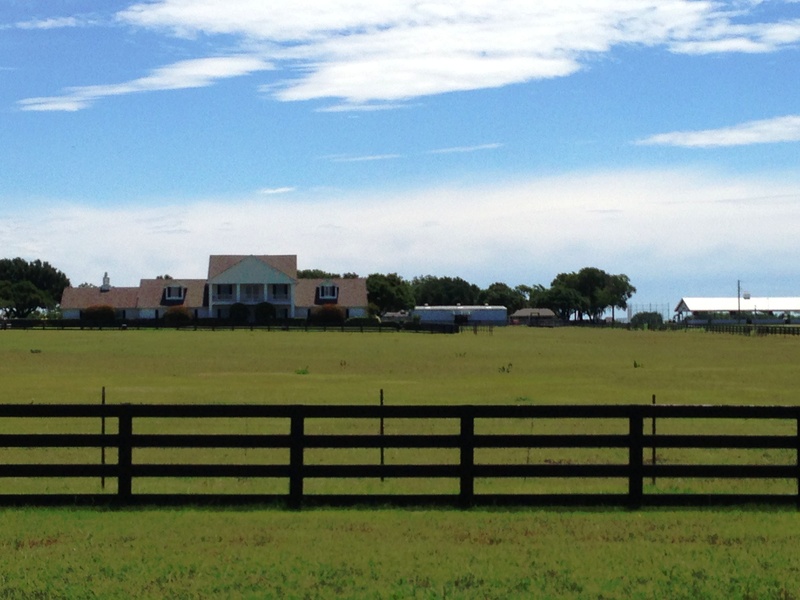 With that childhood memory in mind, I couldn’t resist seeing Southfork Ranch while I was in Dallas. Actually, I was surprised to learn that it really existed. I think I’d always figured that the ranch was just a fabricated movie set in Hollywood, but no. The ranch used for the show really exists. Back in 1978 when the show began, the ranch was owned by the Duncan family who agreed to let Lorimar use the exterior of the house. All of the family meals out on the porch with Miss Ellie, and the shots of the pool and the exterior of the house were filmed on location at the Duncan’s ranch in Parker County, Texas, just outside Dallas. I recognized the porch and the pool, but was surprised to see how small they looked in real-life. In fact, the whole house looked small now that we’ve gotten used to the McMansions built up in every sprawling suburb in America. This was not the overwhelmingly magnificent ranch I’d envsioned as a girl. But still. With the theme song playing in the background, our tour guide told us behind-the-scene stories of filming that occured there. She told us about some of the fans who learned about the Duncan’s site and camped out there hoping to see a Ewing. 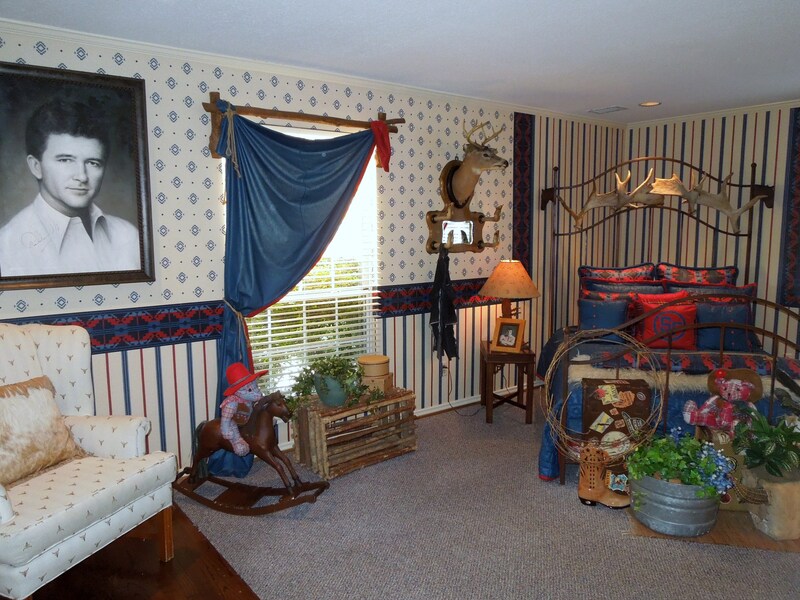 Once the Duncans moved out, the new owners had a group of designers recreate the bedrooms so that they matched the personalities of some of the star characters of the original series. Bobby’s room looked a little young, too. 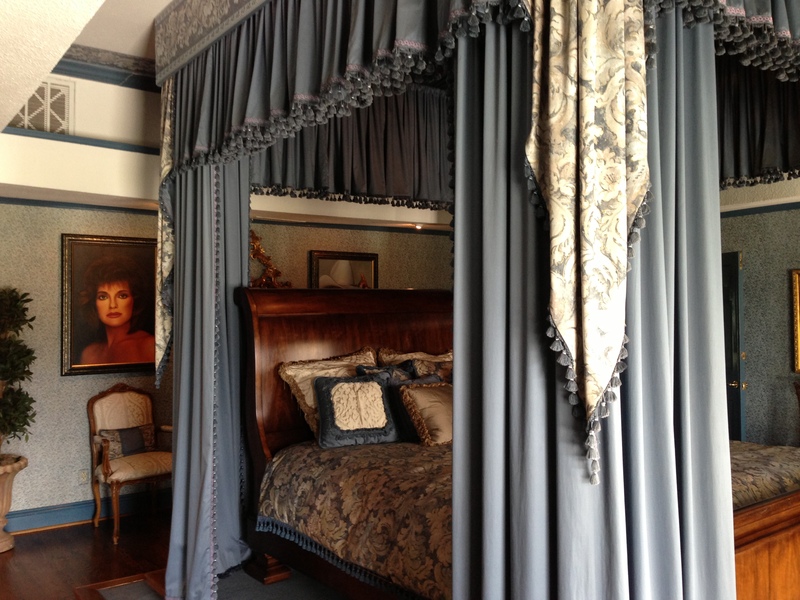 J.R. and Sue Ellen’s room was as grandiose and austentatious as you might imagine it would be. 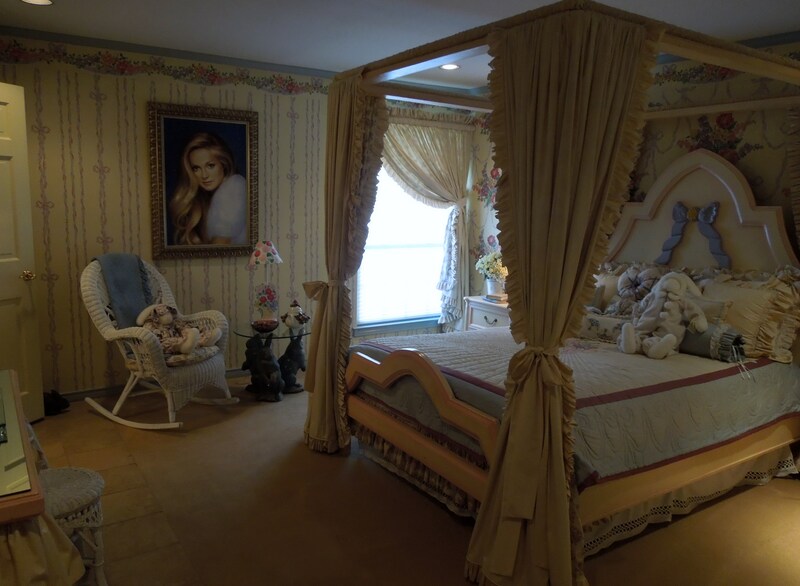 Their gigantic four poster bed dominated the room. It was exactly what I would have expected for those two. I enjoyed wandering around the ranch and reminiscing about not just the show, but how different things seemed to me when I was young. Those of us who remember Dallas when it was huge — when everyone talked for months about the “Who shot J.R.?” cliffhanger, and were aggravated by the whole Bobby-dream season — are now getting older. We’re seeing how much life has changed: how much technology has altered our lifestyles, and how things that seemed larger than life turn out to be so much smaller when we look back on them years later. Were/Are you a Dallas fan? This is so amazing ~ What a great tour to do! As I read your title to this post I could hear the distinct melody of the opening theme song. I then immediately remembered all the details about where I was and who was around me for that final episode! I was too young to understand most of it, but that show is such a strong memory. Thanks! Isn’t it amazing how that theme song can so easily take you back? I found myself thinking ‘this makes me feel old’ before I reached your closing paragraph!! 🙂 Dallas was broadcast here in fits and starts almost two years after its US release, but we still got addicted to it and called relatives abroad to fill in the blanks! Seems a lifetime ago! Yes, it does! And now there’s a new series with J.R.’s and Bobby’s sons following in their feuding family footsteps. I haven’t seen it, but they also shoot episodes at Southfork Ranch. Very fun post. I never saw a single episode, but I remember it was very big and all the rage. I was young when it was on. I’d like to rewatch some episodes and see how closely they resemble what I actually remember. Nowadays it is easy to go back and see things you might have missed, or revisit those you loved. I allow myself to watch them when I exercise, and find a series more engaging and more likely to tempt me back onto the machine. Right now I am enjoying “Lillie,” a BBC series about Lillie Langtry, originally broadcast in the seventies. I have never seen “Dallas” or “Lost,” but one day I might look them up and give them a try. What a fun place to visit! I remember it playing in the many different countries I lived in as a child – I think it was one of those shows that was popular in a lot of countries! You’re right! I hadn’t thought about that until just now. It is odd that they all lived under one roof. I think I thought that their ranch house was so huge that they each had a wing, or something. I suppose I thought it was how millionaires lived. But it is strange, isn’t it? I’m sure there was some kind of explanation at some point early on in the series. Or they were just a tight-knit family… It’s odd that we never thought about it! The tour looks fab – I wasn’t born until 77 but I still remember all the ‘who shot J.R’ hype. I think at the time though the couch potato in me was still flicking through the cartoon channels! I find it fascinating that even though you were so young, you can relate to the hype surrounding the show. It was definitely iconic. I liked Dallas, but one of my favorite shows of all time was: Knot’s Landing! That was my mom’s favorite show, too. She liked that much better than Dallas. I think that rarely happens on spin-offs. I myself wasn’t a big fan but nearly everyone I knew was! Funny how things turn out smaller than we had imagined. I used to watch Dallas too, so I would have loved this tour! It really took you back in time. I’d forgotten what a big deal it was in its day. I loved watching Dallas and I remember that “Who shot J.R.?” cliffhanger like it was yesterday! I was probably way too young to be watching the show but my Dad loved it and used to let me stay up and watch with him. 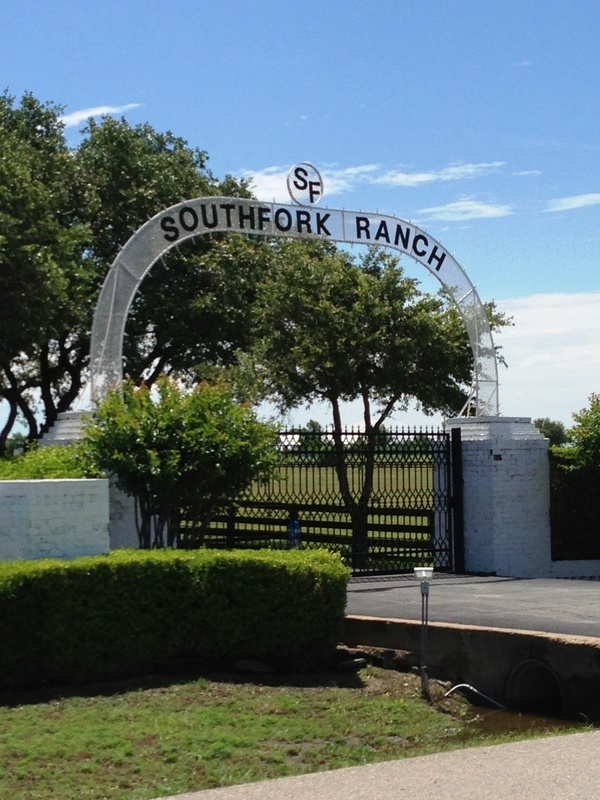 I didn’t know that there was an actual Southfork Ranch that could be visited in Texas – another item for my wish list! I was young, too. I remember being incredulous that adults could be so mean to each other. I think I enjoyed the thrill of staying up and watching such an “adult” show more than the show itself. It was such an iconic series.